Today November third, I am home on a windy day, and decided to catch up on my fishing reports for my October Albie season. I do apologize for not sending out the fly fishing reports that you have grown to expect on a timely manor. Unfortunately we had a major hurricane by the name of Florence which caused all kind of damage here in the Carolina's including the loss of my roof on my home and some trees down in my yard. 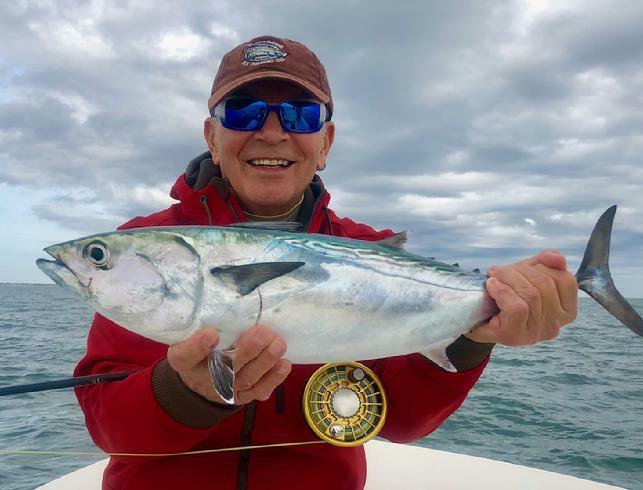 I was blessed with less damage than many and was back at work by October 14, that said we all lost a lot of fishing days and it took a while for the Albies to settle down and become fly friendly. Below are some pictures from the first half of my season, along with a few fishing reports to catch you up on my season so far. 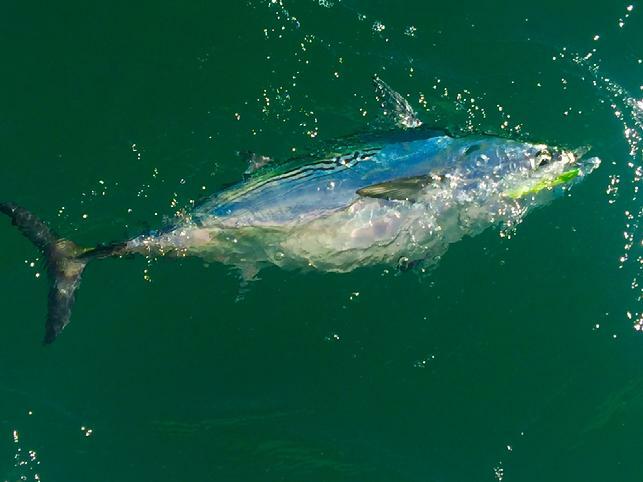 It looks like if all goes well we will have good fishing right up into the middle of December. If you are interested I do have a few good dates available during late November and early December, feel free to contact me should you have any interest. 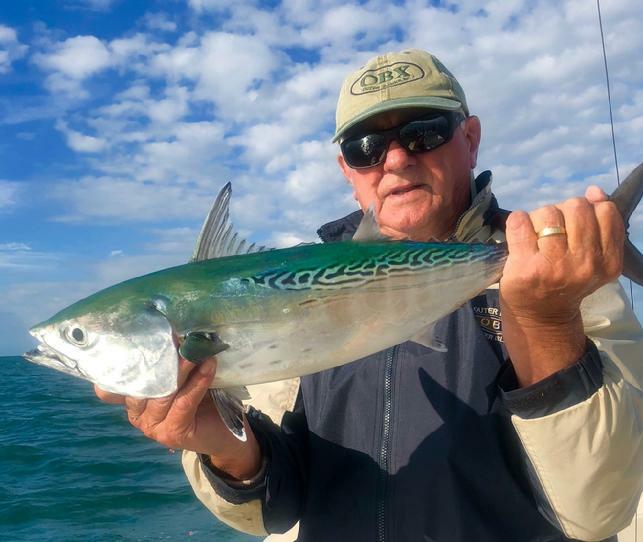 October 15, Today the wind was from the South West at 15 and choppy, Albie fishing was slow for Wally aboard “Fly Reel” we got the first fish that he cast to in the morning, had one come off in the hook, and caught one late in the day in the buoy chain. I love My Job, we need cool weather and north wind. October 16, fished 1/2 day with Robert Olsen from NO LA. We found them inside the hook, caught 9 using large white and pink flies. It was over by noon. 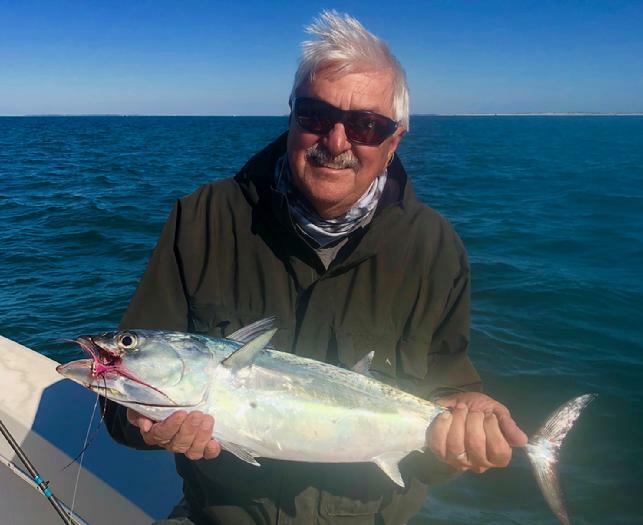 Caught 7 from 9 bites around the trawler buoy. 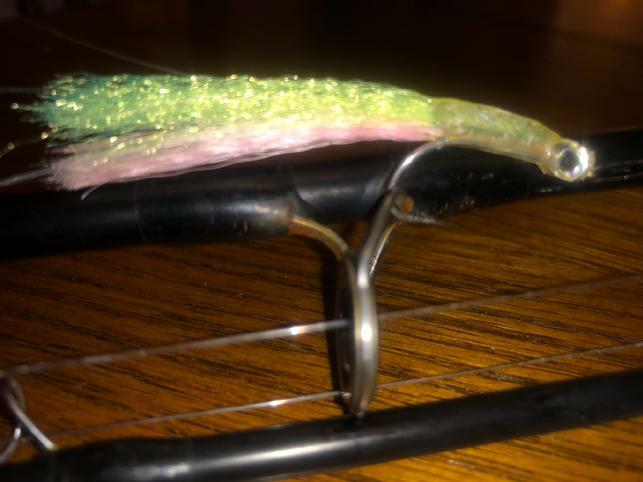 Pink over white Clouser’s 4 inches long. 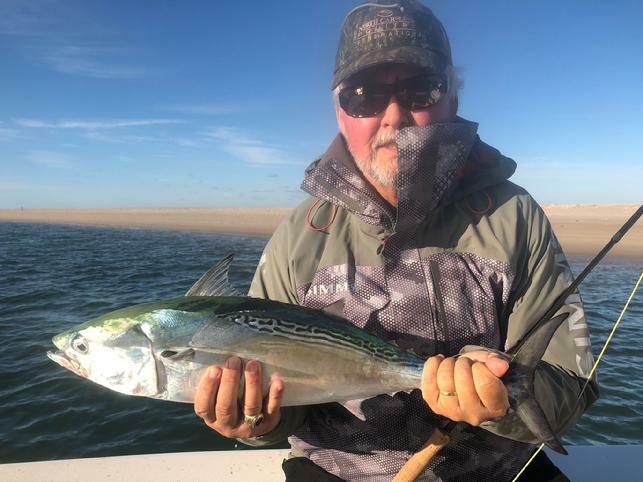 Wednesday October 24 was the second day if fly fishing for Bob Cogan, and Tom Coleman (pictured), with me for Albies aboard “Fly Reel” here in the Cape Lookout area of NC. Wind was North at 20 knots, the air temp about 64 degrees and water temperature was 71.4 degrees. Lots of single and small groups of fish chasing mostly big bait and not staying up very long. 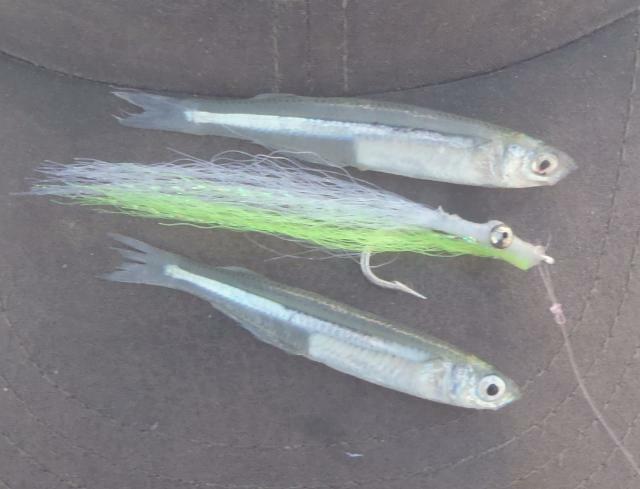 We found fish chasing bait up in the surf all day, but they were not user friendly until late in the day, chartreuse over pink “candies was the fly of the day.